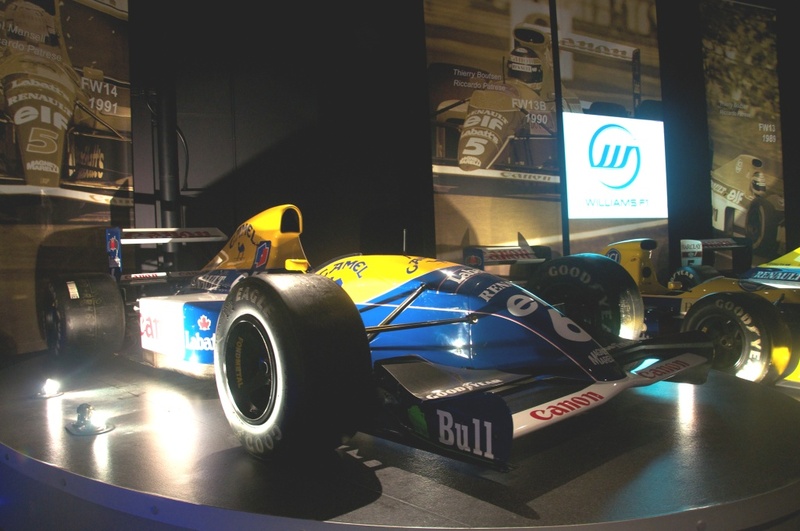 I was fortunate to be a guest at Williams F1 last week and was shown round their facilities. 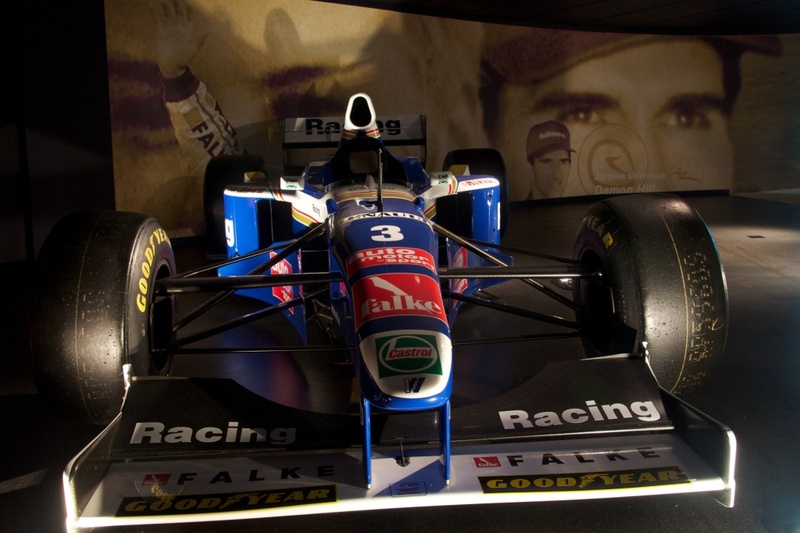 I thoroughly enjoyed the day and was reminded that Williams are one of the greatest F1 teams in modern history, despite their current poor run of form. The day started with an informal chat with Technical Director Mike Coughlan. We talked about how they set up cars for the race – he said that their simulation software was so good that the cars are shipped to the track with most of the settings dialed in and the practice sessions are just for fine tuning. We talked about the upcoming US GP as it is a new circuit and he revealed that they had people on the ground mapping the track and gathering data for the simulator and that they would arrive for the race weekend in as good a shape as any other of the established tracks. We went on to talk about the impact of the garage fire they suffered at the Spanish GP this year (following Maldonado’s win). He revealed that the fire itself mainly damaged their computer equipment but the acid in the smoke wrote off every metal part in the garage. Their computer supplier (Dell) got them back up and running very quickly as the data was backed up at the factory but their manufacturing schedule took a real hit as they worked hard to remake enough parts for two cars to go racing. However, the main topic of conversation was the upcoming 2014 regulation changes. He said that 2013 cars would be barely changed from this year as teams concentrate on the huge changes for the following year. He speculated that smaller teams may plough development into 2013 at the expense of 2014 in an effort to get a one shot jump towards the front of the pack. We were shown round the factory by the Operations Director whose name escapes me at the moment. We started at Wind Tunnel 2, the larger of their two wind tunnels. FIA regulations stipulate that teams can only run one tunnel at a time so the smaller one is leased to another team. The wind tunnel is a very impressive piece of kit and is large enough to test in 100% scale although the rules state a maximum of 60% scale. The tunnel itself is made from four straight corridors arranged in a rectangular shape which the air is circulated around. The test area is positioned on one of the longer sides of the rectangle and the fan on the other. The air is guided around the right angle corners with turning vanes. The size of the corridors are immense but as the air approaches the test area it is funneled into a smaller area to speed it up to a maximum of 180mph. Another impressive feature is the walls of the test area – they are moveable to create different cross sectional areas and conditions for the air to travel around the test subjects. 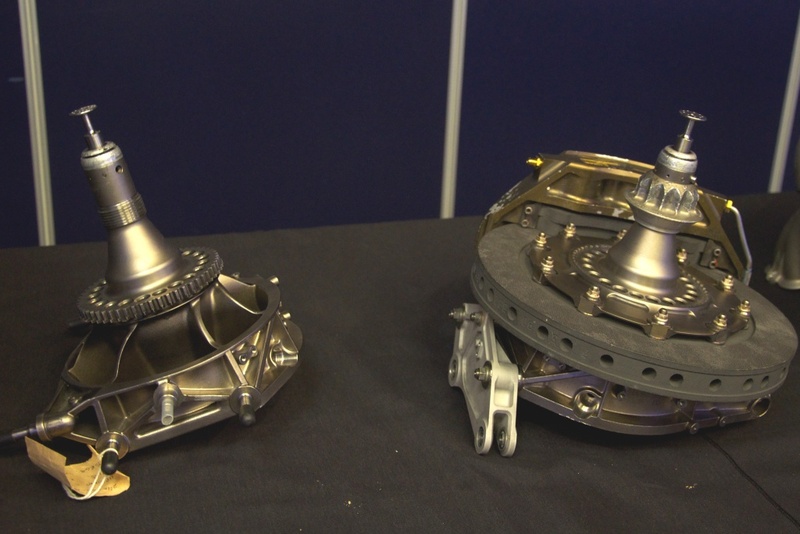 We were also shown how the test pieces are made using rapid prototyping technology. This allows designs to be quickly made up and put into the wind tunnel. We spent a little time talking about the difficulty the team has in calibrating the results from their CFD, wind tunnel and real life testing. Next stop was the mould manufacturing area. 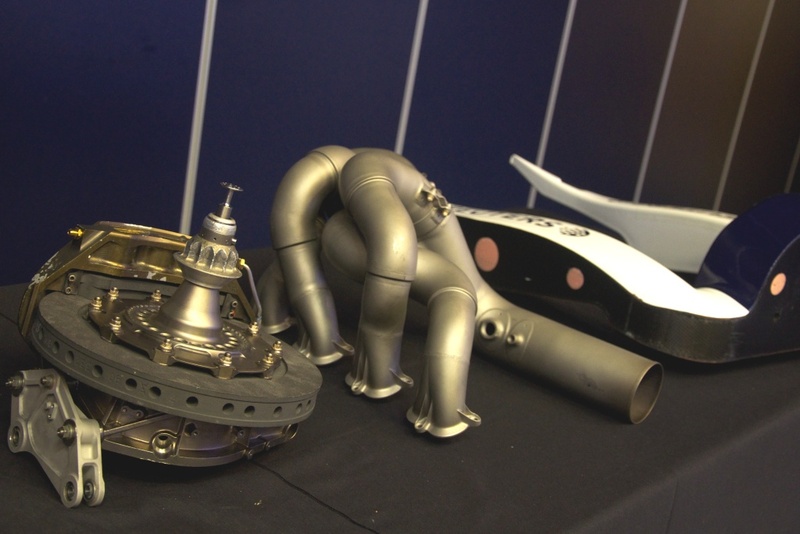 Parts that make it from testing and into production have to be moulded from carbon fibre. To make the moulds, blanks have to be machined from solid blocks of high density foam. Once the blanks are formed, the moulds can be made around them. We then went on to see where the carbon fibre is laid up in the moulds and cured in the autoclaves (I counted four of various sizes). Once the parts come out of the autoclave they are trimmed and sent onto our next port of call, the assembly area. Here the parts are assembled. We were shown the precise jigs that are used to ensure the tubs are exactly sized with a tolerance of 50 microns. A highlight for me was seeing a steering wheel in different stages of assembly and being able to hold a completed wheel in my hands are get a feel for what it must be like to operate the gear shift and clutch paddles, not to mention the insane amount of buttons and switches! Another highlight was the suspension assemble area where carbon and titanium are bonded together to make the various suspension components. Just beyond the assembly area sits the machining facility. Describing this as enormous doesn’t do it justice – the facility is immense and would be the envy of any multinational engineering company. It was at this point that I was awe struck of the resources that go into running two cars in just 20 races of the season. Next up were the race bays where the cars are prepared. 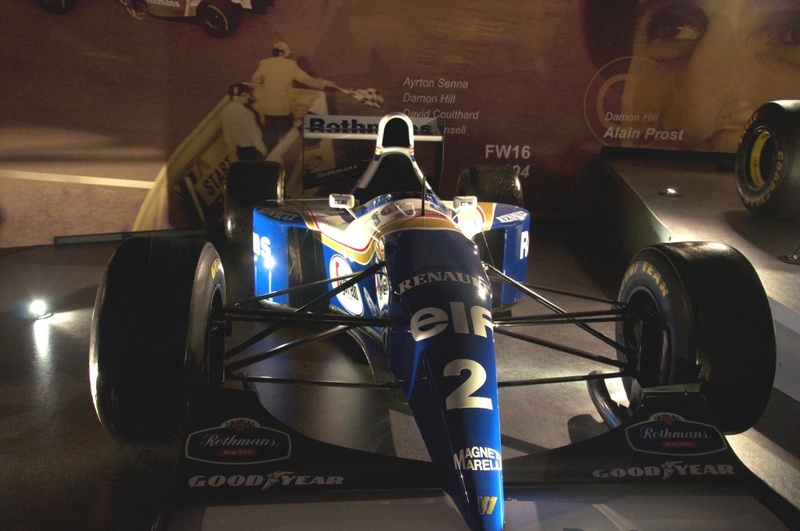 This year’s F1 cars weren’t there as they were between two long distance meetings but there was plenty to see. Directly above the bays was a mezzanine level where cars from previous seasons were seemingly stacked haphazard on top of each other (on shelving of course). 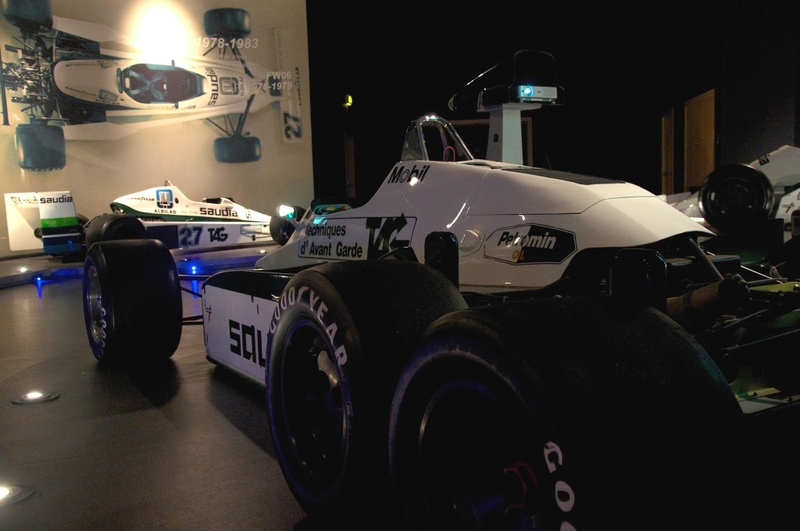 Being worked on in the bays were two important cars from Williams history – Keke Rosberg’s 1982 championship winning car and Damon Hill’s winning car from 1996 (the cars had recently done a demonstration at Silverstone). 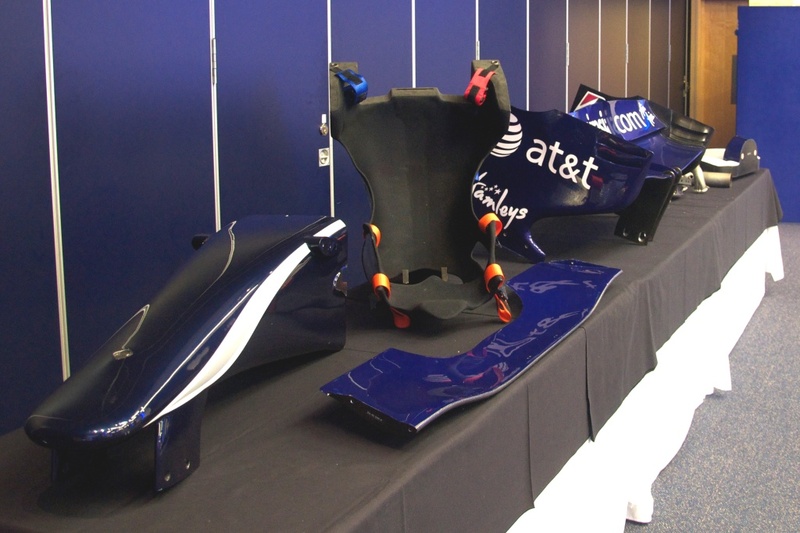 As well as these cars, there was a 2011 car in one of the bays. Opposite the bays were rooms dedicated to different parts of the car (drivetrain, suspension, chassis, etc). The amount of spare parts I saw in these rooms seemed enough to build several new cars! The tour of the factory ended there but we weren’t done yet. 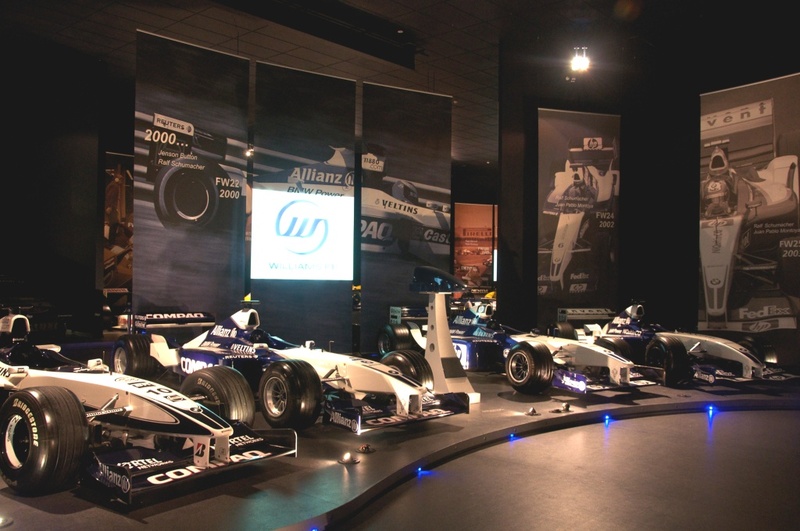 Williams keep a private collection of an example of every car they have ever built. 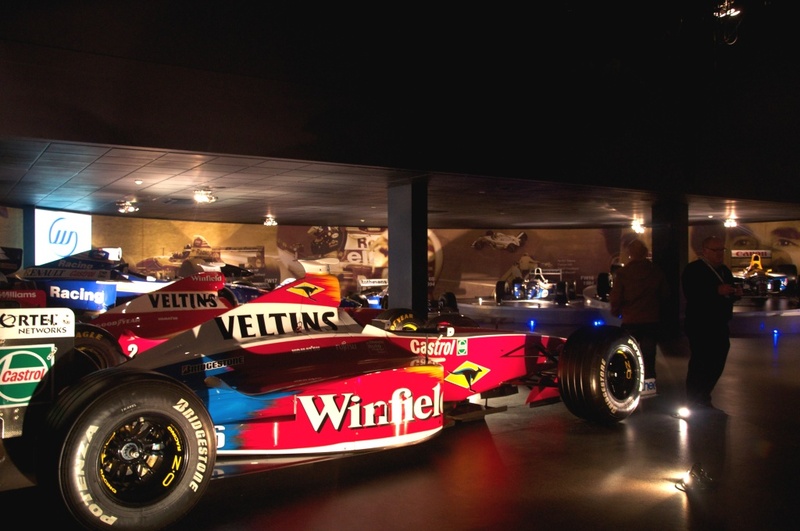 These are housed in the old BMW Motorsport factory that became vacant when BMW and Williams parted company in 2006. This was a real treat and a reminder of what a tour de force the team used to be. 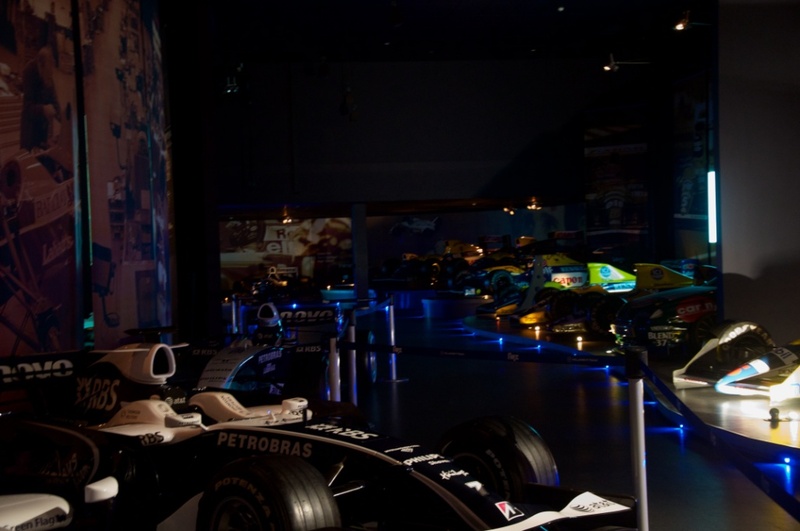 The cars were grouped by engine supplier and are kept in darkness. As we approached each section the lights went up and we were shown a short video detailing the cars of that era. 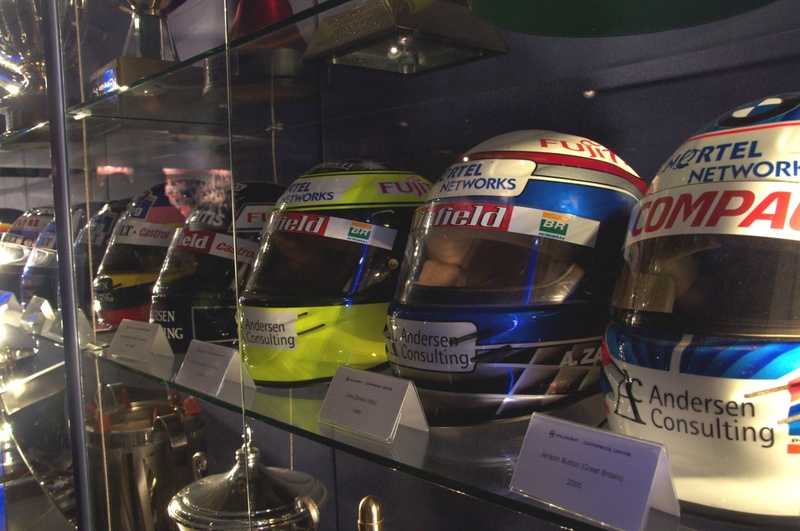 As we walked through the room lots of memories were brought back of being a young boy watching F1 with my father. 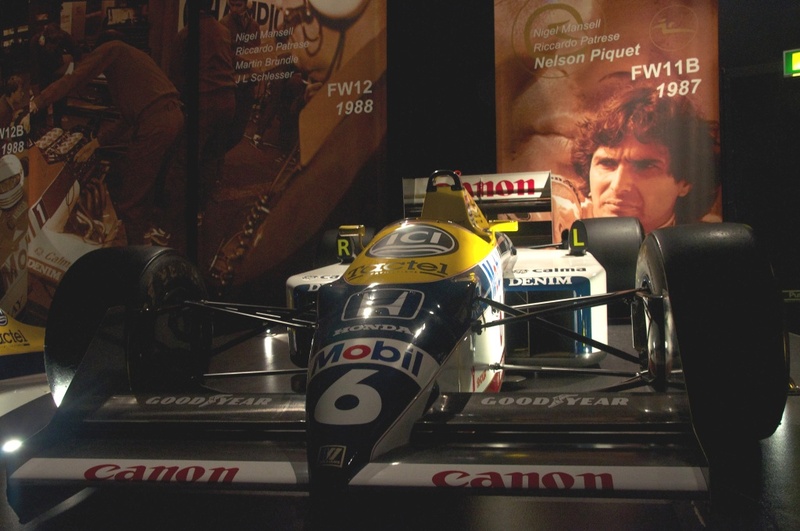 A poignant moment was being next to Senna’s last ever car. 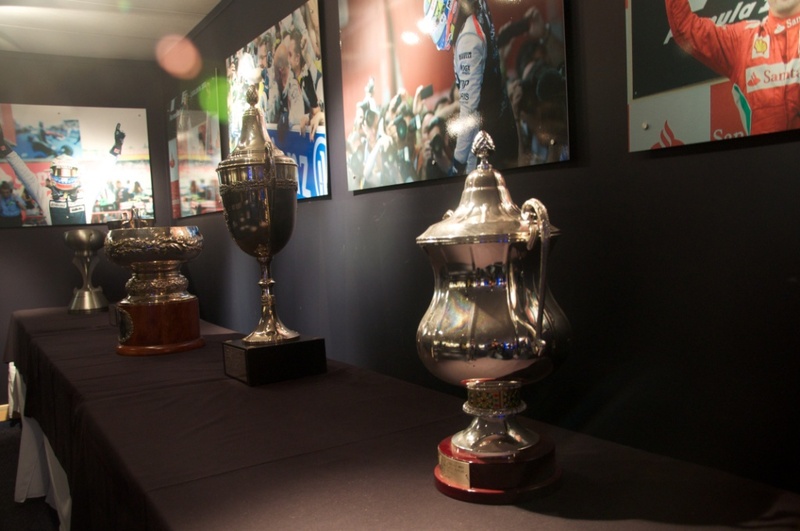 Finally we were shown to the trophy room where we were able to relive the success of the past. If you ever get the chance to visit the factory I strongly recommend you take it. The facilities are amazing and the staff even more so. I was made to feel very welcome and all of my questions were answered in detail. Very little was off limit and I was able to get up close and personal with most of the things I was shown. 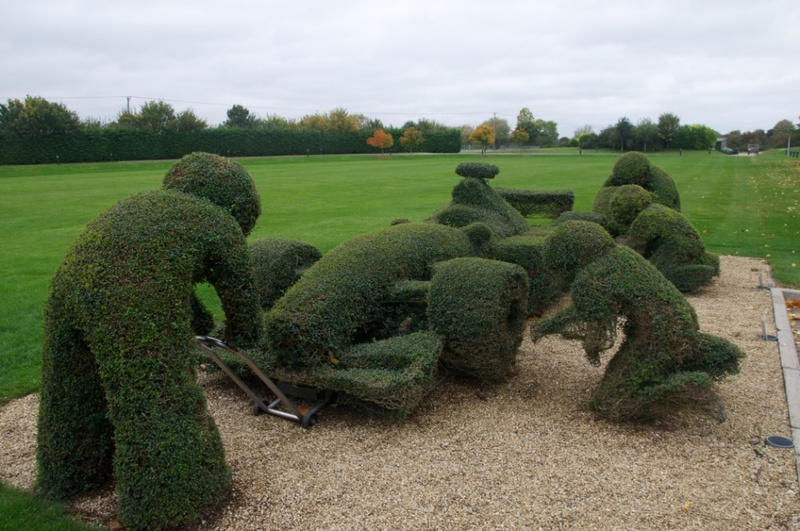 Williams may not be at the front of the grid these days but I will be cheering them on in the future. Photographs are courtesy of my good friend Greg Smith (sadly we were forbidden from taking any in the factory itself).